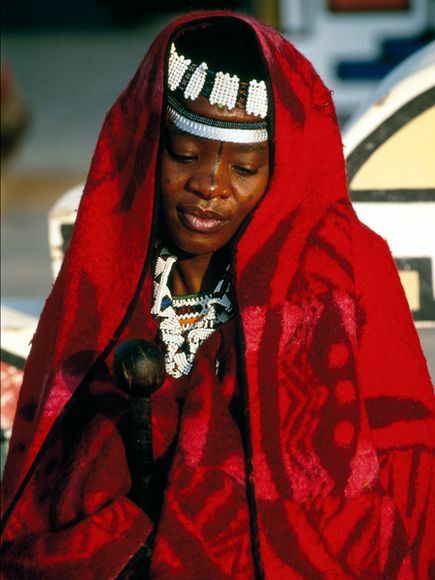 Globally many Africans,people of African descent have identity crisis. 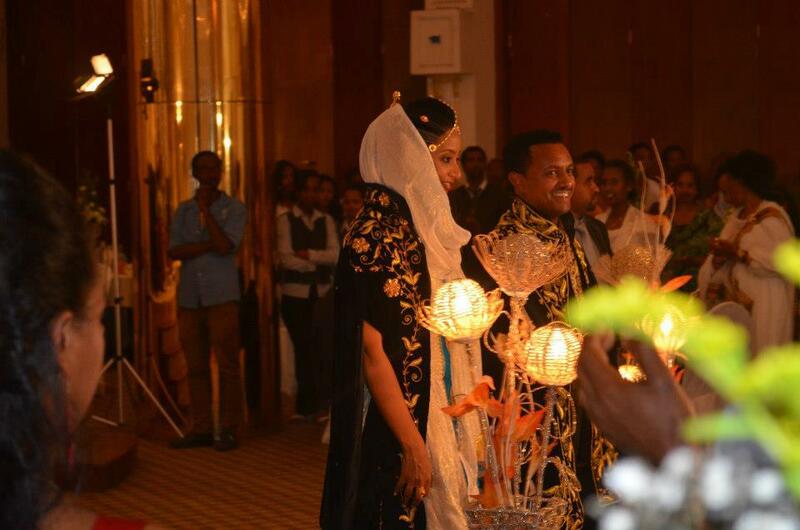 This is to a larger extent connected to the psychological impact of Arab and European invasion.This slave mentality is evident in how Africans/ black people do things,especially when celebrating important events such as weddings. 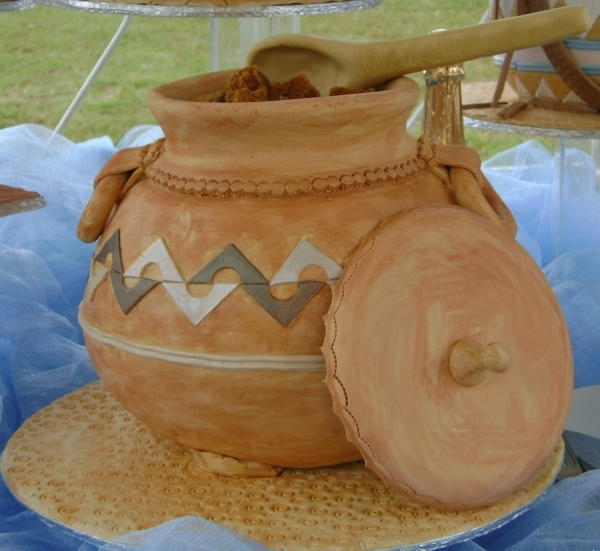 Rituals reflect a peoples’ ancient culture even though sometimes they are refined to accommodate modern times. 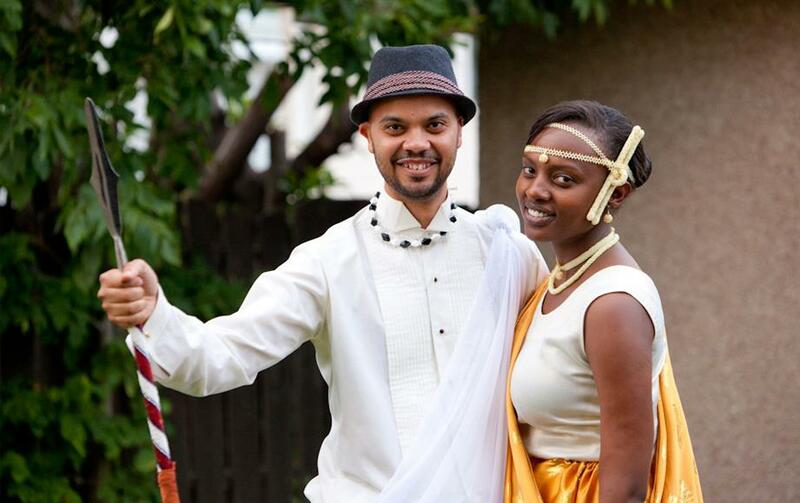 I have attended weddings of Indians ( South Asians) , Anglo-Americans etc their wedding gowns, the ceremonies in general reflect their religions and cultures.But for many Africans their rituals honor their enslavers depending on who oppressed them. 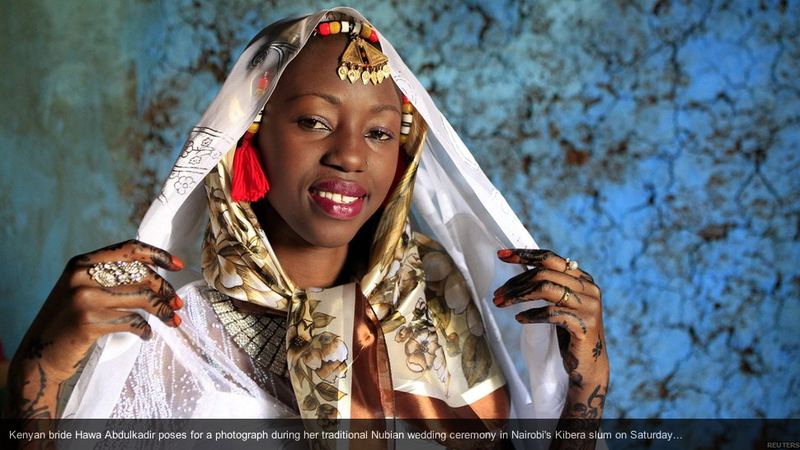 A large segment of Africans display their inferiority complex and lack of knowledge of self on their wedding day.Nigeria is a classic example to this practice, in the North weddings are Arab Muslim centered. West, South, East are predominately European Christian and Central ( my region) a mixture of European and Arab. 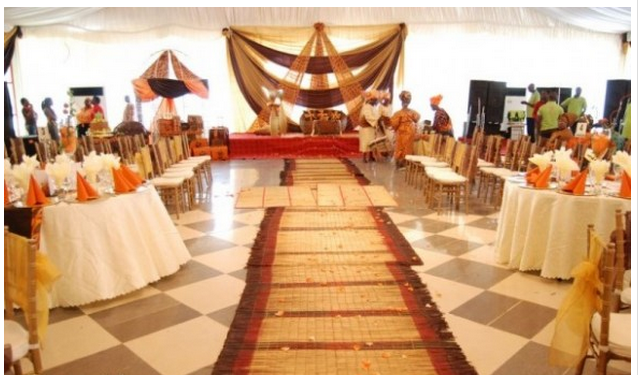 Indigenous / traditional weddings are often frowned upon by both Muslims and Christians and labeled backwards.The Nigerian government hasn’t done much to protect the rights of its citizens that prefer traditional weddings. 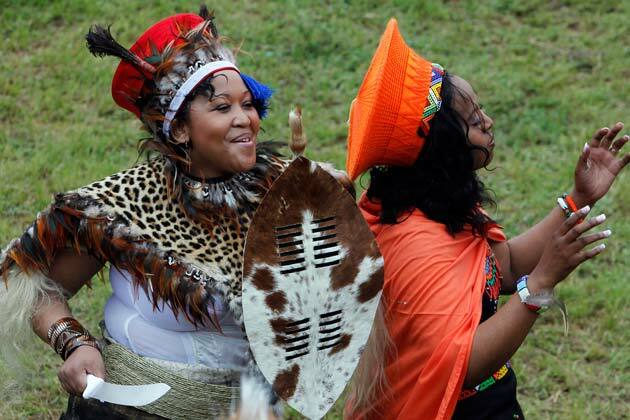 Fortunately there are resistance from some Africans who see value in their culture. They refused to be watered down versions of Europeans and Arabs. 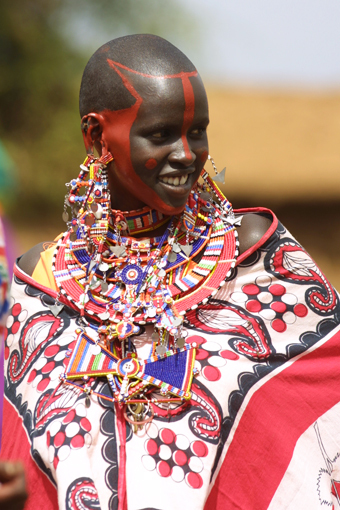 Despite centuries of oppression, they have managed to retain elements of their Africaness. 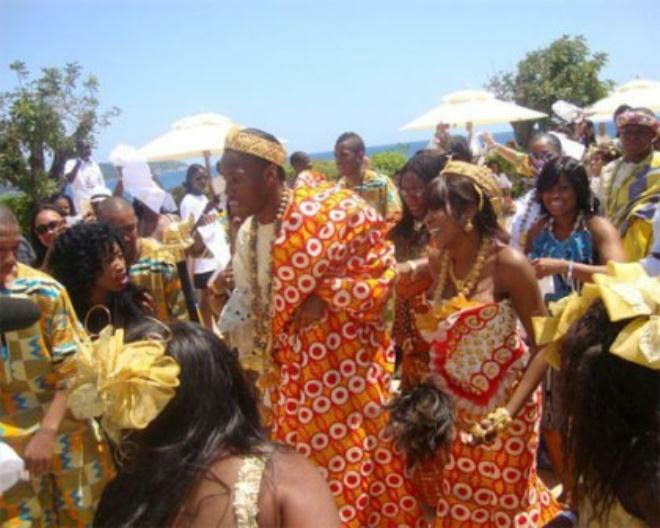 These Africans are on the continent of Africa, in countries such as Brazil, United States of America, Cuba etc.Below I will provide you with pictures, videos of actual weddings and ideas for those of you planning to get married in the future without abandoning your African heritage for foreign ones. May Mwari /Kpan Luh/ Su lead your journey. 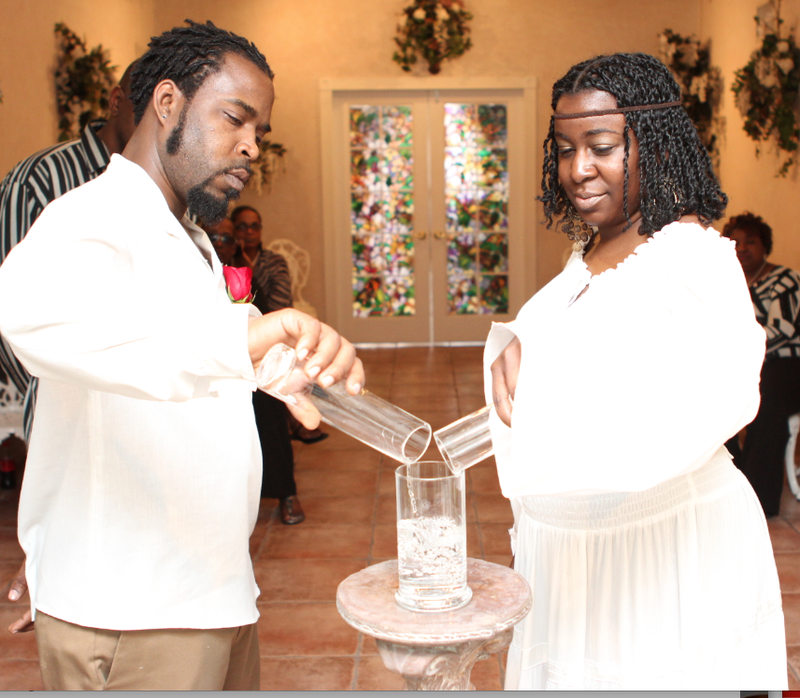 The Bride Kim Walker and groom Gemaron Willis exchanging vows and jumping the broom. 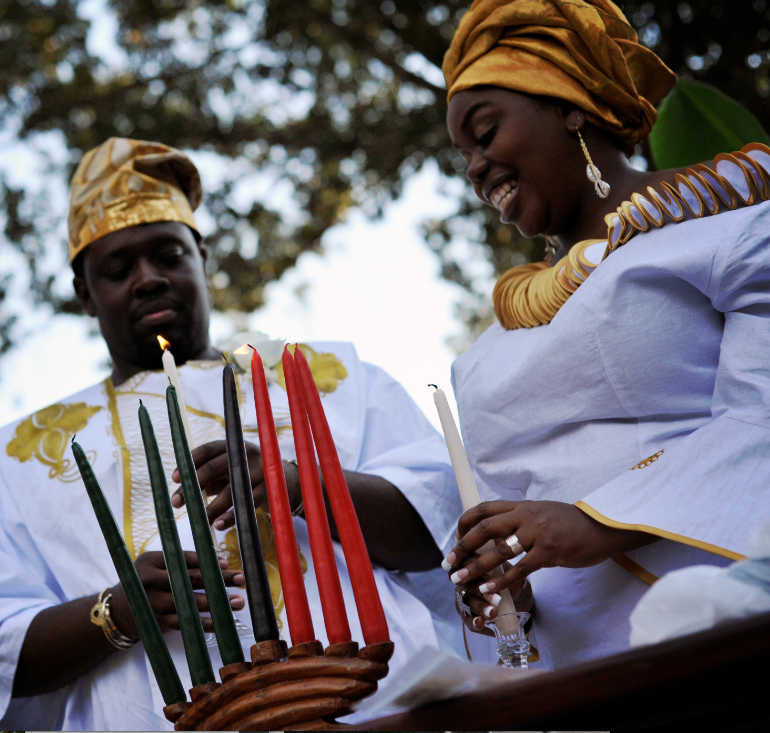 Couple lighting African/black unity candles, red ( the blood that our ancestors shed for us ), black ( our race ) and green ( growth, wealth). 7. 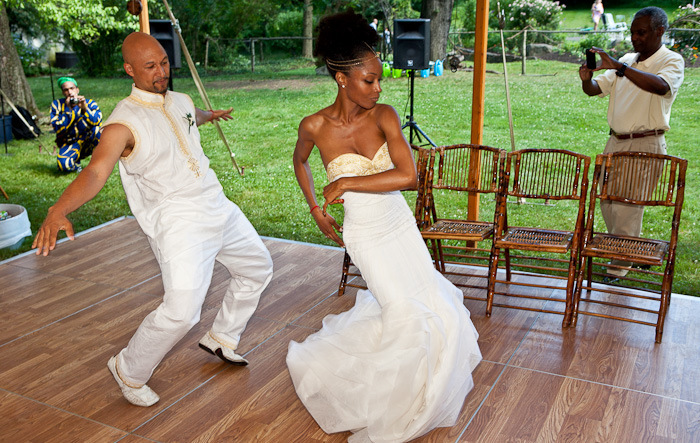 Model, actress, Yaya Dacosta marries movie director brother comrade Joshua Bee Alafia in an African centered wedding! Yaya Dacosta and husband sharing a kiss. 8. 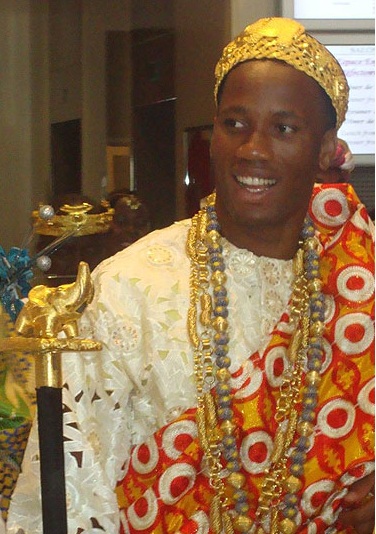 Didier Drogba footballer from Ivory Coast marries the mother of his three children the beautiful Lalla Diakite in African traditional wedding, they’ve been together for 12 years (Pan-African love). 17. 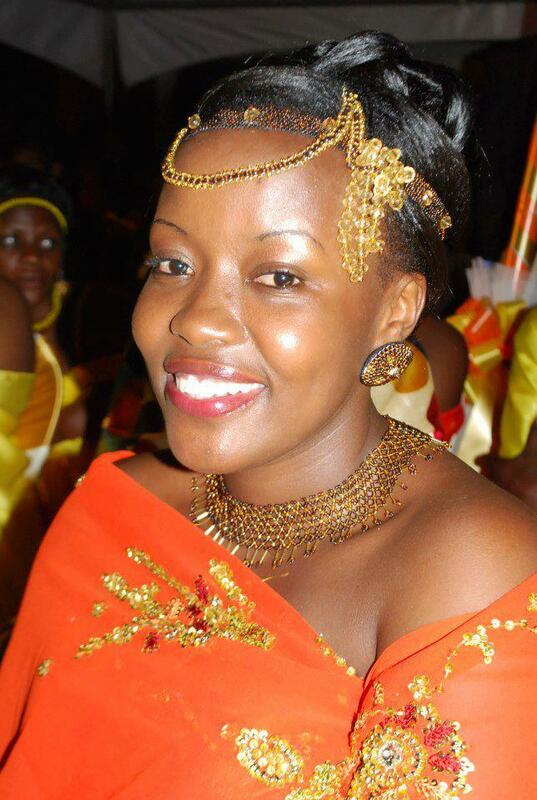 Acholi Ugandan bride in traditional wedding gown. 10. 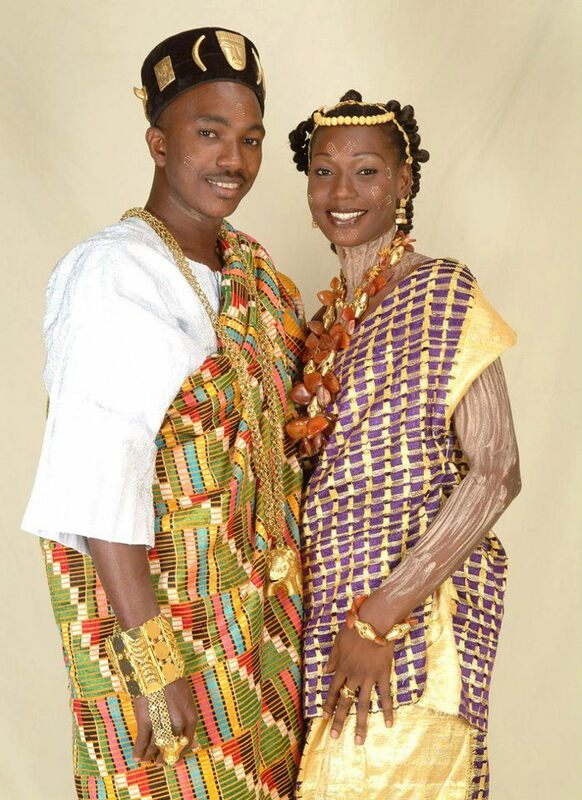 Diasporan Africans, bride and groom looking fabulous! 11. 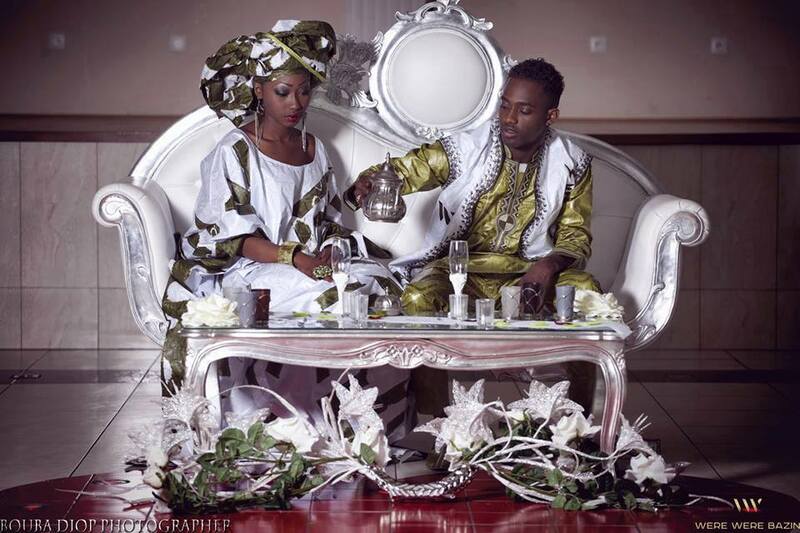 Gambian bride and groom. 16. 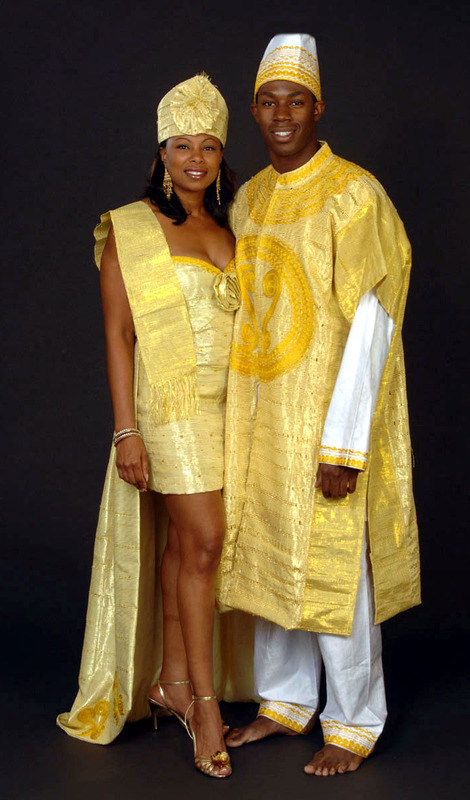 African American couple honoring their African Roots and of course looking amazingly beautiful! 17. 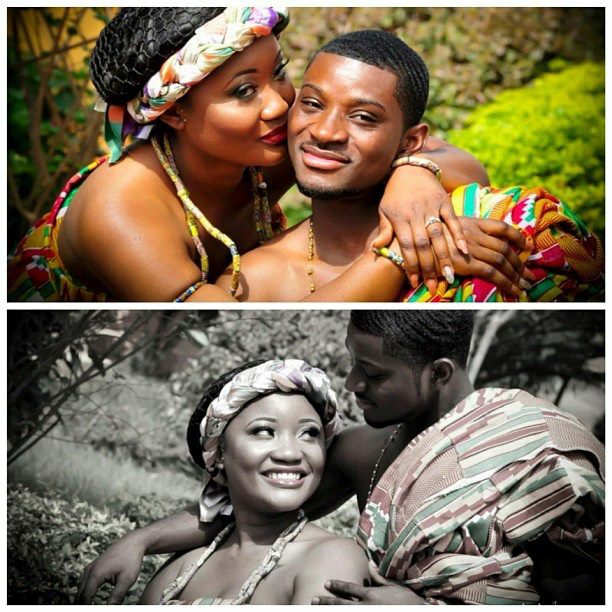 Couple in Kente cloth enjoying each other! 18. 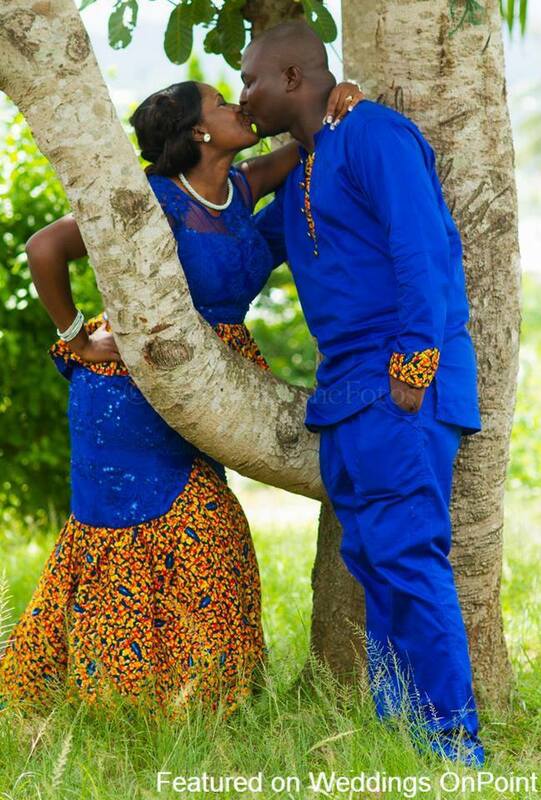 Ghanaian couple kissing it up! 1. 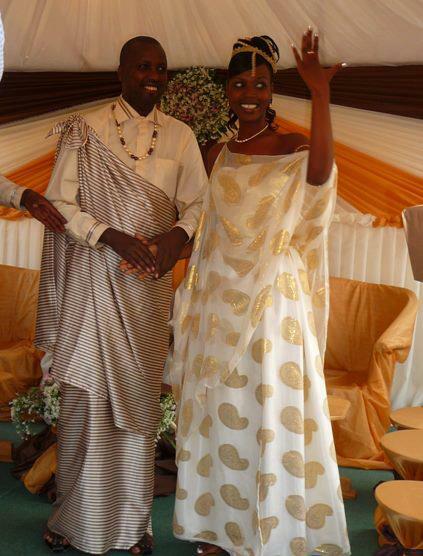 Traditional wedding in Uganda. 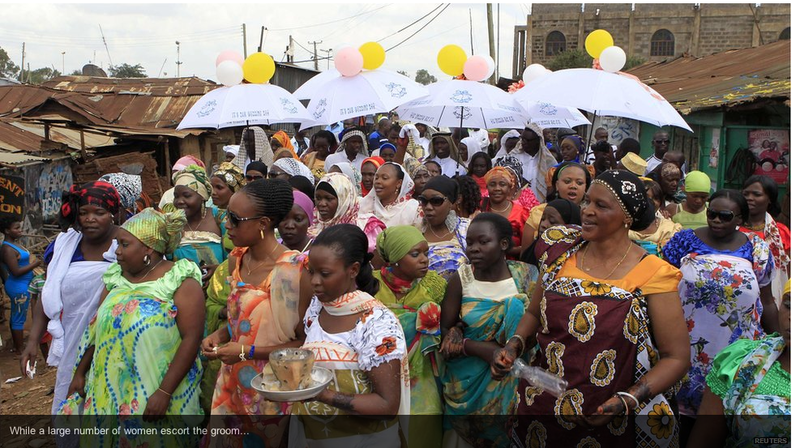 The bride and groom are showered with gifts, love and community celebration. 2. 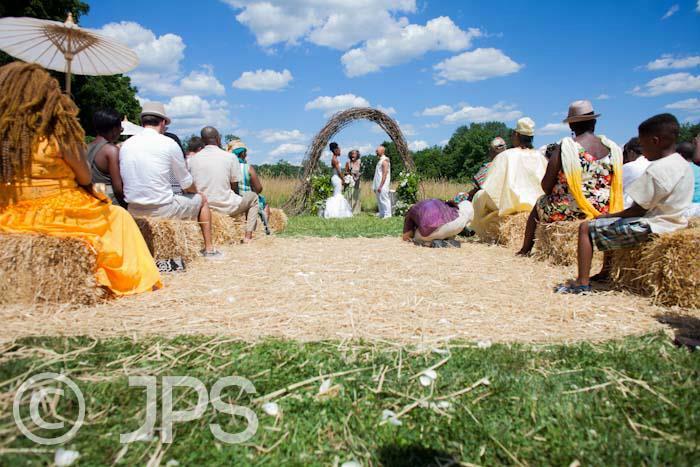 African-American, African centered wedding. 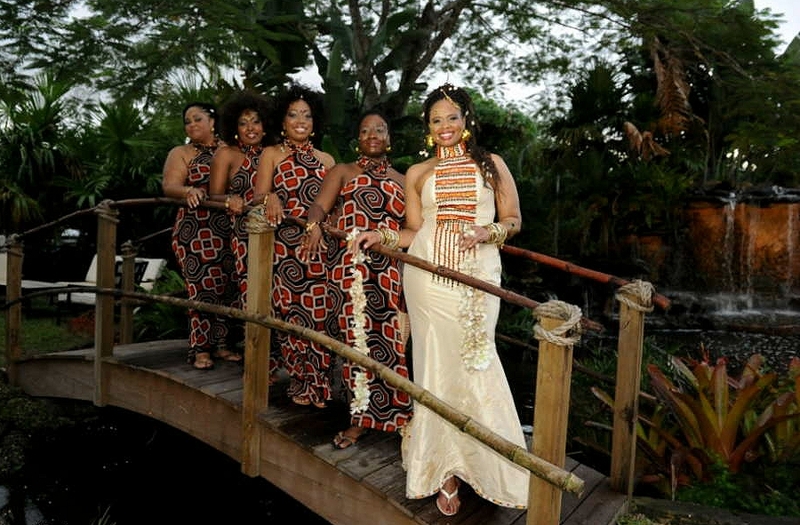 Many meaningful symbols in this wedding, for example friends of the bride are holding the African fertility goddess (Akuaaba). 3. 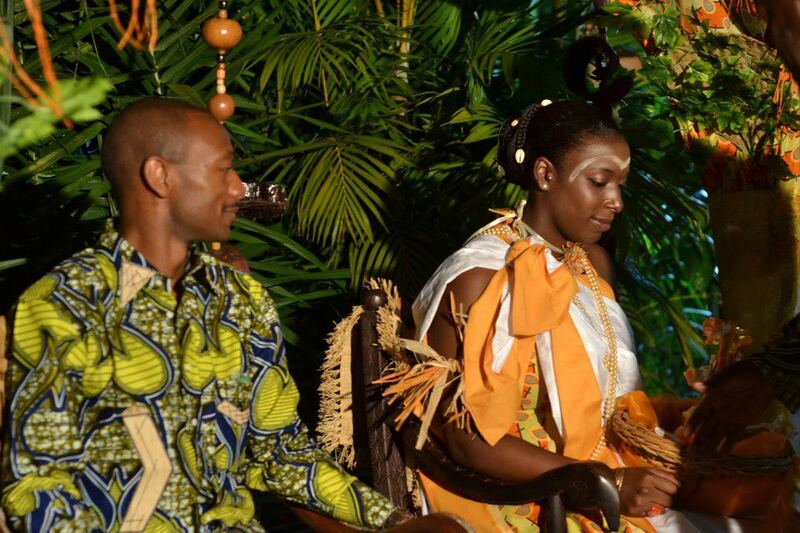 Ghanaian Traditional Wedding….pouring of libations to the ancestors and words from elders. 1. 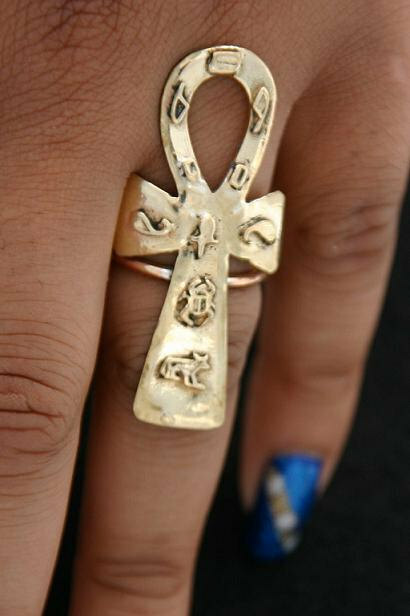 Ring with Ankh engraved an ancient black African symbol of life. 3. 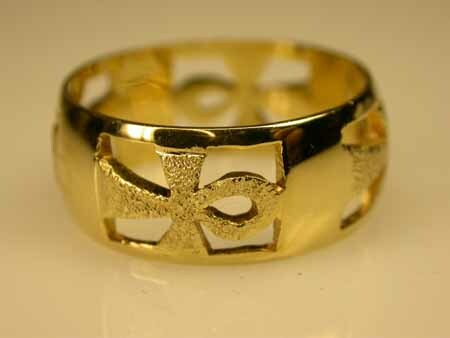 The Yotti/ Bali people of Middle Belt Nigeria ( my ethnic group), couple exchange plain sliver, brass, or gold bracelet. 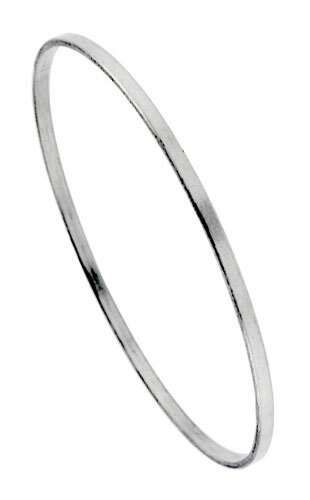 The bracelet is called Nuburi, a symbol of love, life and continuity. 4. 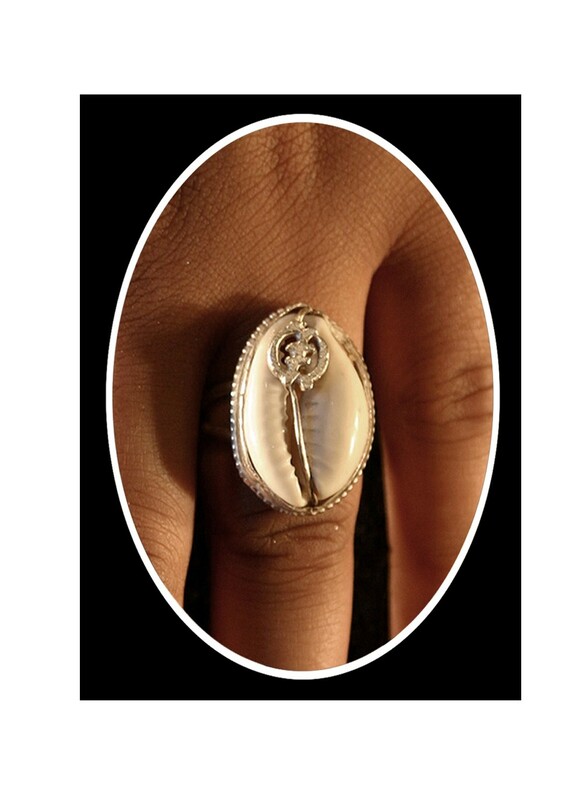 Cowrie Shell with Adinkra symbol in the middle ( Cowrie is used for protection and the Adinkra symbol engraved is to remind you of God’s supremacy). 6. 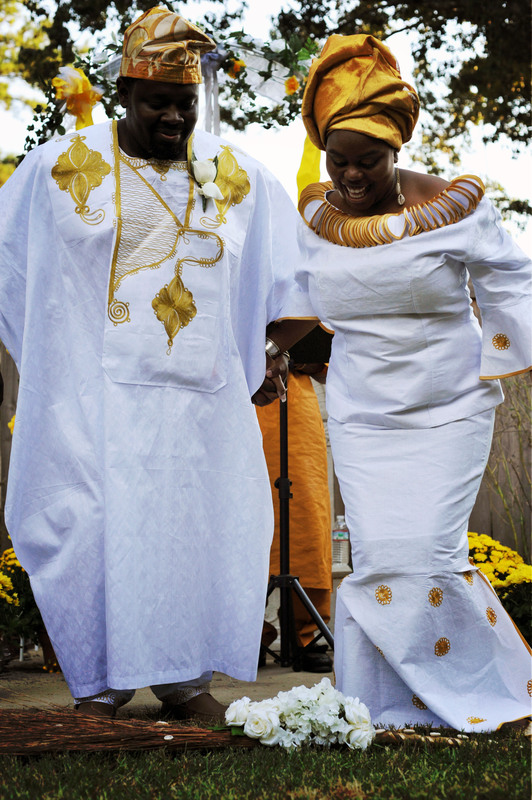 Loose dress for the bride and fitted up and down for the groom! 7. 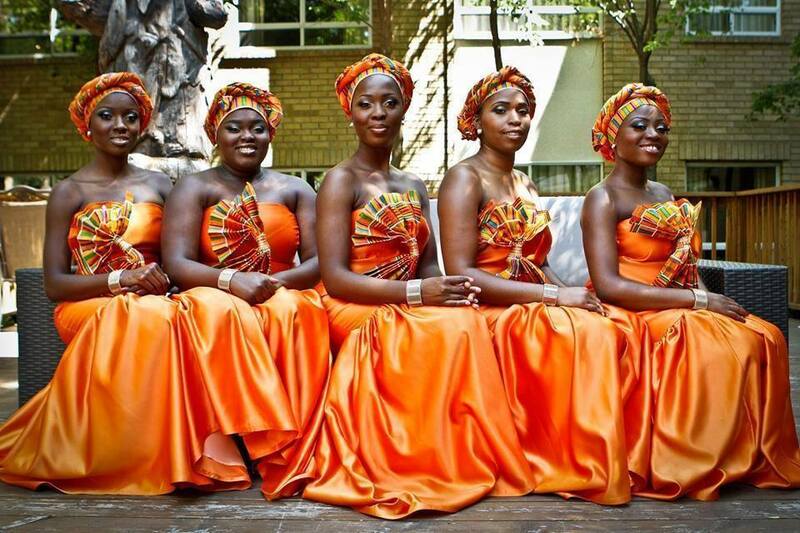 Brides maid, in Kente prints…Got Melanin? 8. Fabric blocking bride and grown lock down! 3. 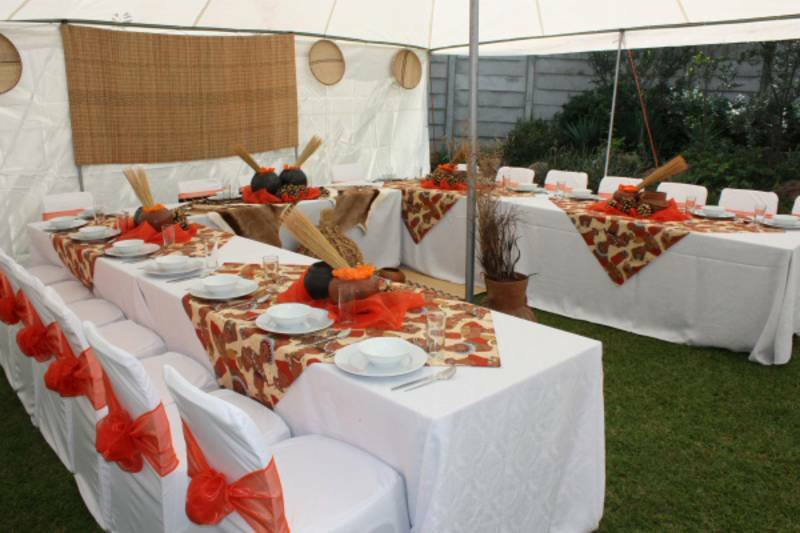 Follow this link to “I DO GH” :https://www.facebook.com/Idoweddingz for additional African especially Ghanaian wedding ideas. They are fantastic! Enjoy. Note: Images and videos are not my personal properties. Once again a fabulous informative blog that never fails to make one think about how we as a people are living in the 21 century and how we view and treat our God given blessings. 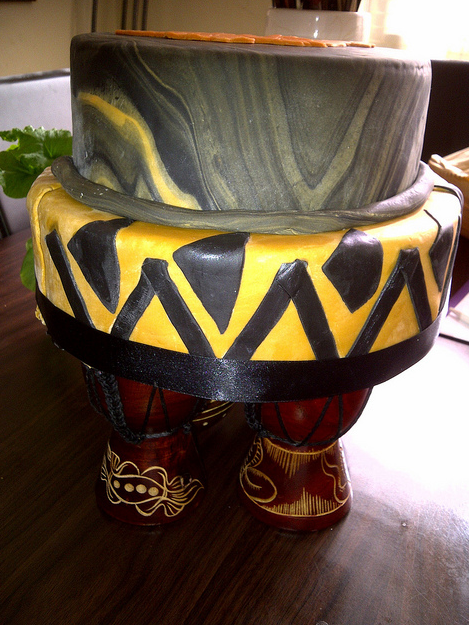 I so look forward to receiving your blogs as they always make me feel proud to be a child of the Afrikan Diaspora. thank you for your words of encouragement, it is folks like you that make my little efforts worthwhile. I will continue to do my best by writing on topics that are important for our development holistically. May our ancestors continue to inspire us all, Ashe! Giving thanks! I am glad that you enjoyed the images! i’m seeing this with my own two eyes yet people are claiming that scientifically we (black women) don’t get married and we aren’t the most desired in the eyes of black men. 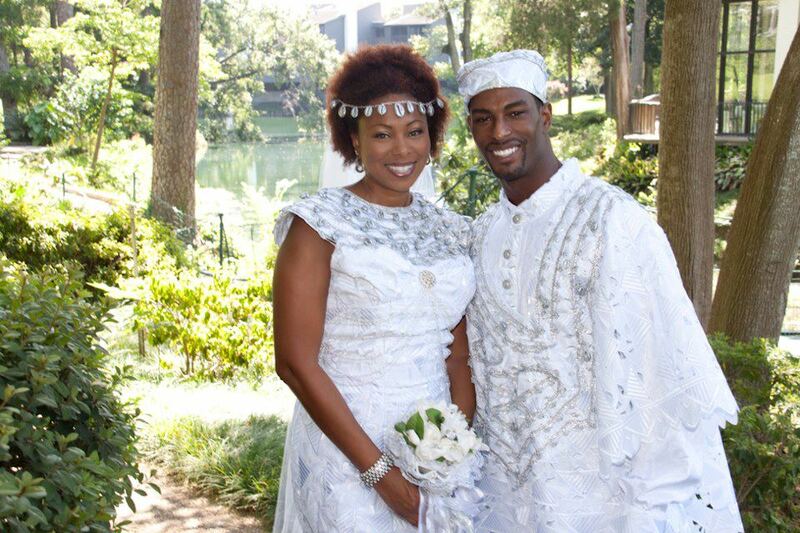 I read a piece a while back written by researcher at Howard University who provided us with statistics that black folks are getting married despite many challenges in our community and the American society as a whole. Beautiful pictures and awesome post! @ Nqobile, Thank you, I appreciate the shout out ! 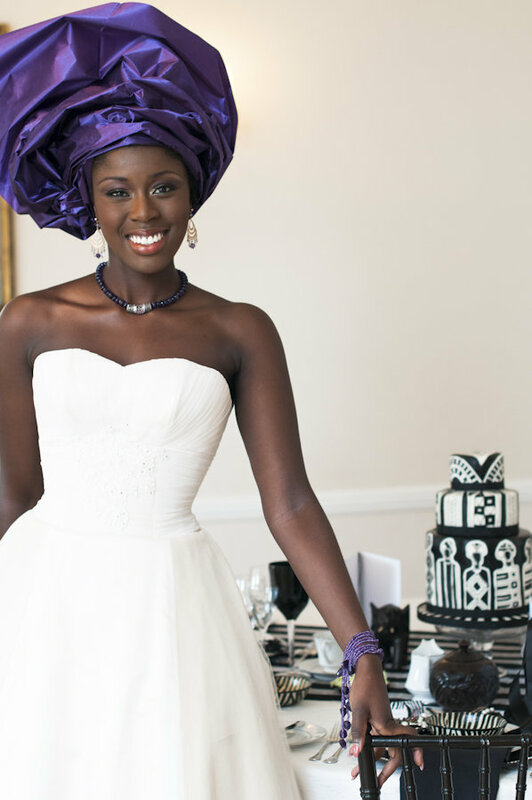 Gorgeous photos of gorgeous weddings! Anna, fam giving thanks for the shout out! I too enjoyed the pictures, got some ideas etc. Just wanted to say WOW! 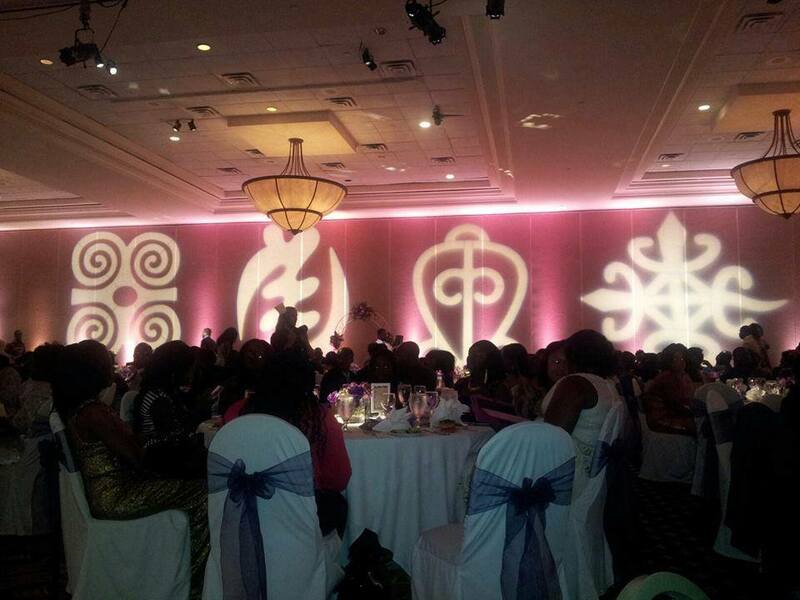 I followed a link to this place and I must say I love this africentric theme. 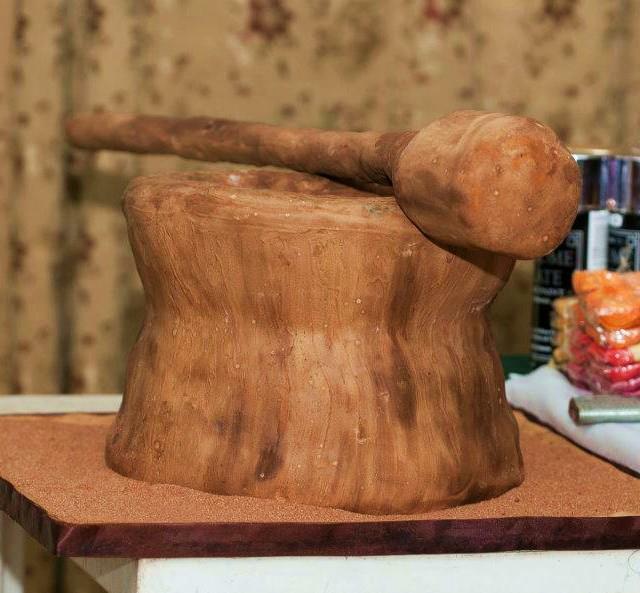 I am happy to heard that you enjoyed this piece, thank you for stopping by…. thanks for stopping by and I am excited that this piece inspired you. 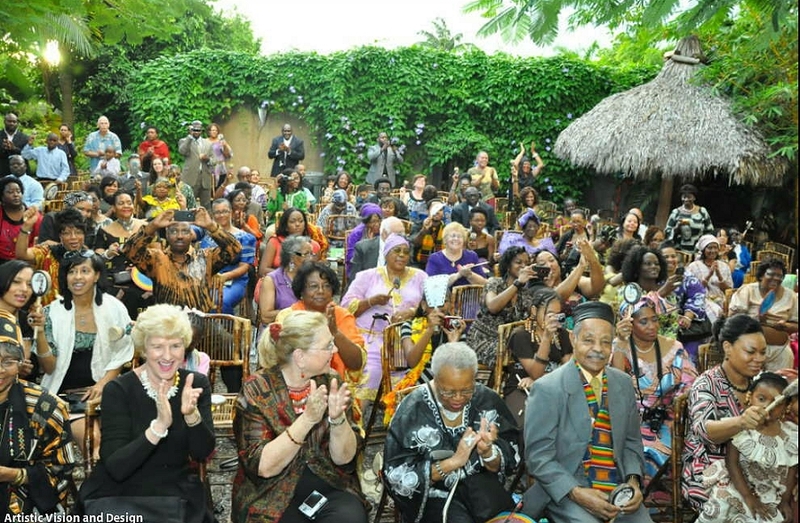 People of African descent, black people worldwide are Africans ( some of the weddings I featured above are African Americans etc) and for non-blacks they too have much to learn from Africans….the world could be a better place if we open ourselves by learning from each other and this is one example! 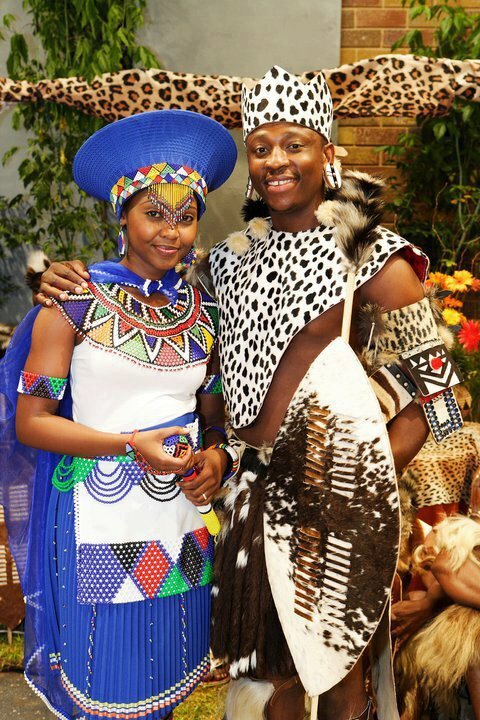 I hope you have the best African wedding! 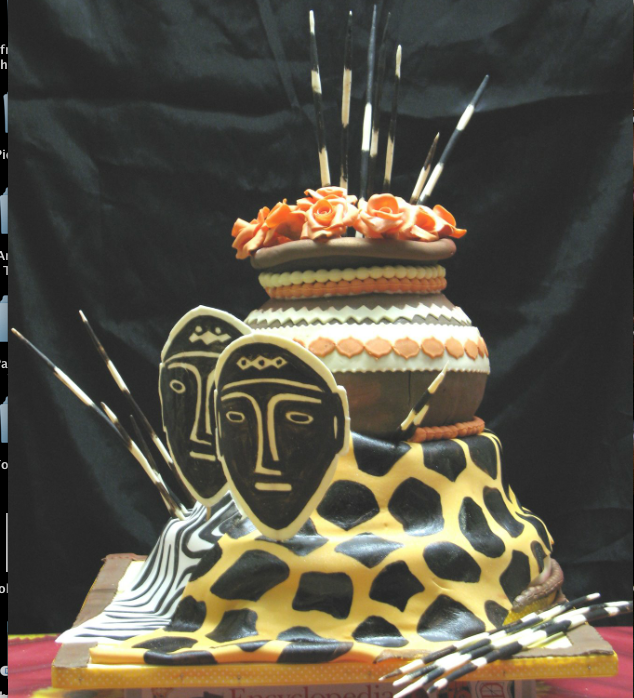 its been a minute, I am thrilled that you guys enjoyed this piece and got ideas for your big day. Thank you for your encouragement, it means a lot to a sista! I will do my best to keep it awesome:) true talk. Nice blog Yok, keep it up. What a pleasure having you drop by, thank you for the cheer. As you know our community for the most part needs serious deconstructing and I am doing my part….real talk. 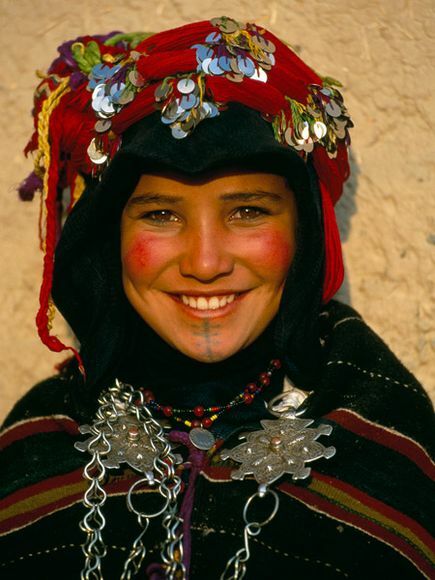 That’s wonderful blog,really this is very beautiful pictures,really know about your culture by this.Thanks for sharing with us. it was my pleasure to share all of these images, articles and ideas in general! 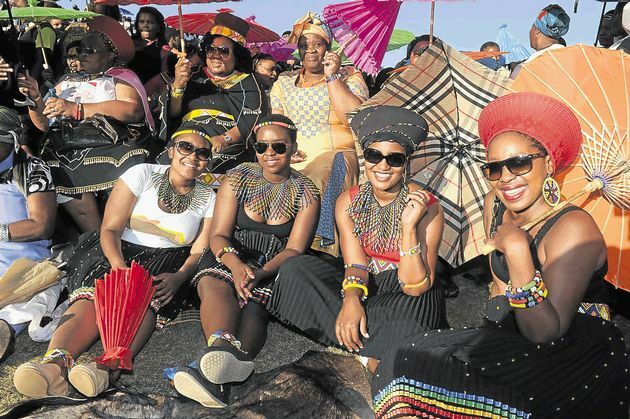 I hope you/we all fine them inspiring and empowering, there is nothing much more sad to me than to see blacks/ Africans globally abandoning their traditions in the name of “civilization” and “globalization”. Thankful there are those of us who are keeping the traditions going- may the stronger forces continue to guilde us all. Ase! 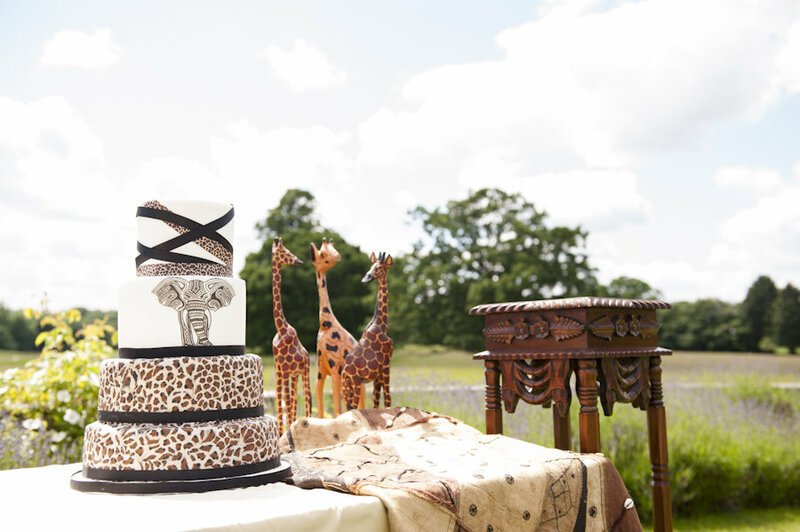 Asante Sana ( thank you) for stopping by! Heya i’m for the first time here. I came across this board and I find It really useful; it helped me out much. I hope to give something back and aid others like you aided me. glad you enjoyed this entry! thank you for stopping by ! I would love to know who made wedding dress #5 ! 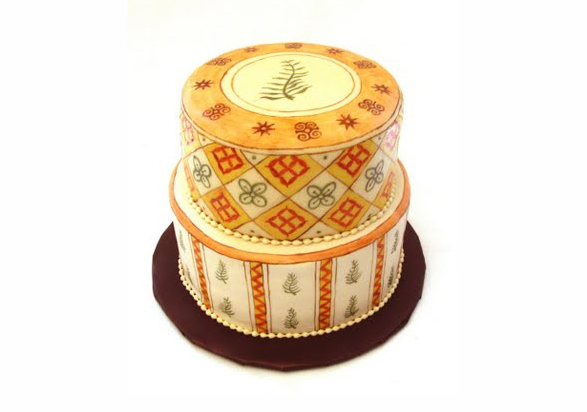 It is very beautiful and I am interested in maybe ordering it from whom ever designed it. Is there any info on the designer? I studied at Howard University and the majority of my classmates were from Africa. 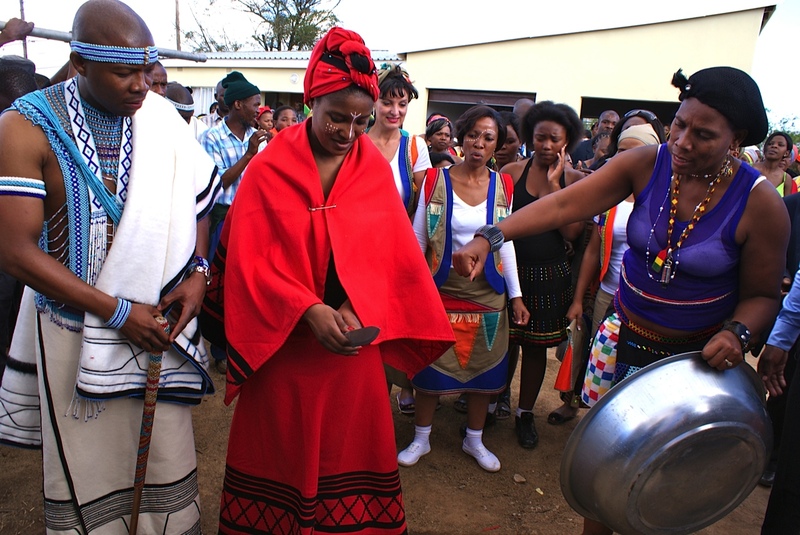 I had the amazing opportunity to celebrate my ancestral traditions (that were not afforded to me being born and raised in America) with my classmates. 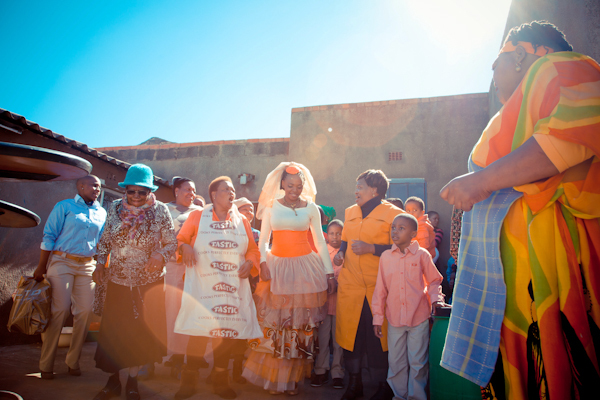 I am so grateful that they freely shared their African traditions and culture with me. They helped me to realize what had been stolen from me so long ago. So, I absolutely love your website. 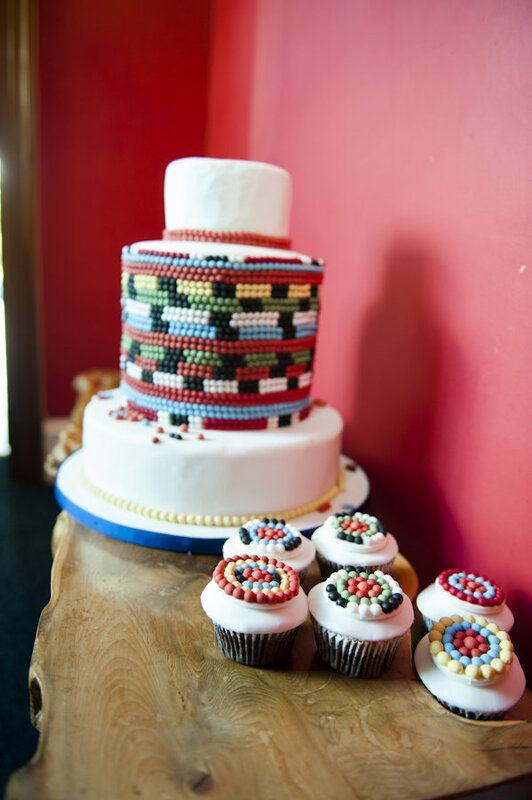 Each wedding has brought tears to my eyes and I can’t wait to incorporate some of my original African tradition into my American wedding. awwww thank you for the generous words. I am happy to hear that your HBCU experience at Howard was positive and partly impacted by your interaction with continental Africans. 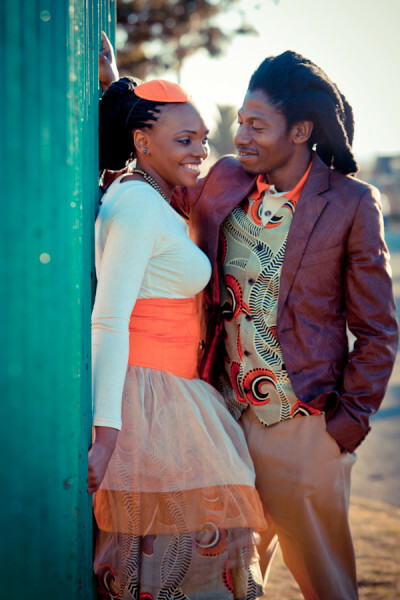 I am always happy to hear such peaceful and loving relationships between African Americans and continental Africans. Just so you know you are African in America and your/our heritage are with you. 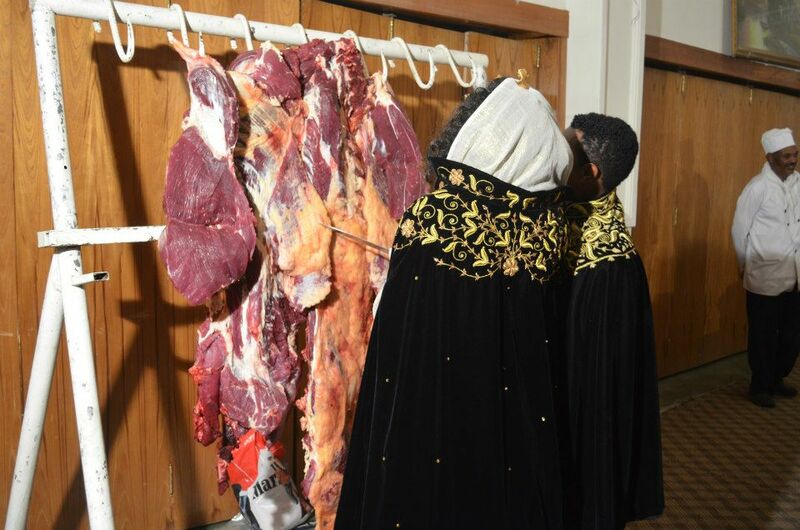 Granted slavery has done damage at thesame time we have retained so much of our Africanism. 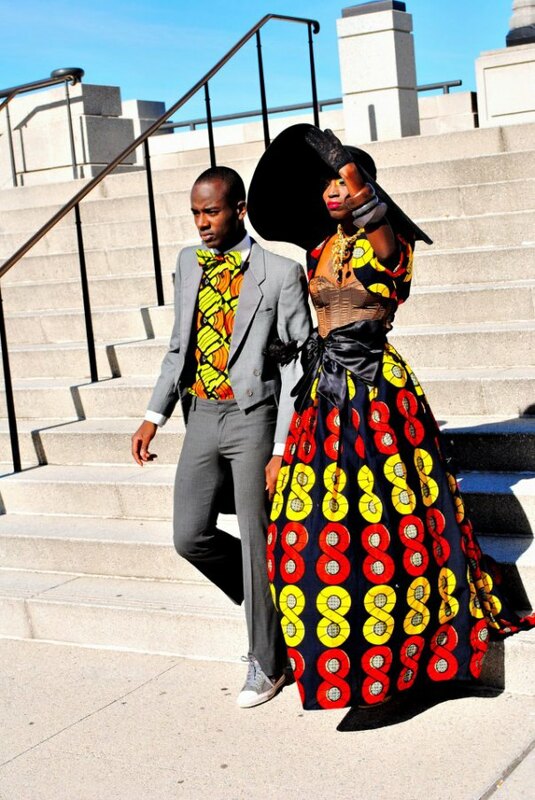 Some of the couple I featured are African Americans, so yes, you too can do it. 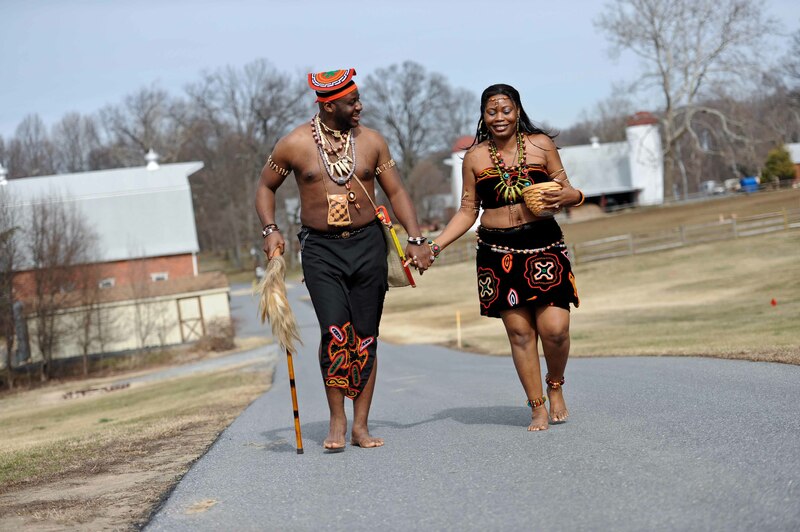 I wish you a wonderful African centered wedding in America. Thank you for stopping by and enjoying yourself. Yes, our culture is inspiring, it was my pleasure putting this together so that we all can draw from the best of our African cultures and continue elevating it. Cuz Suwa, thank you for stopping by and for appreciating my work. What is “wrong information” in what I wrote about Nigerians? 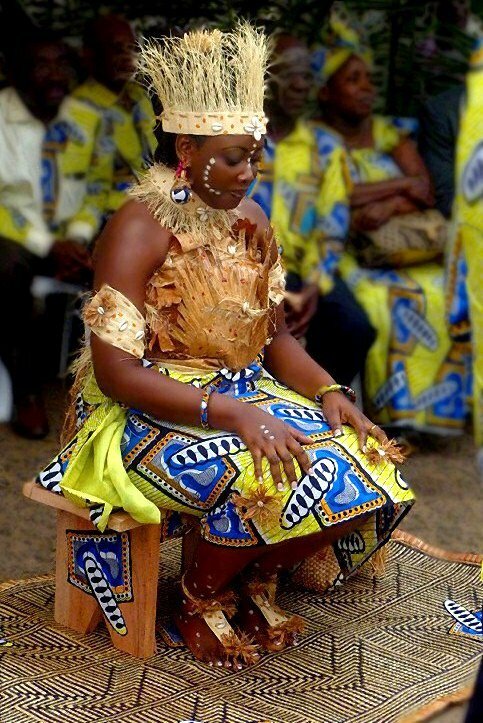 I pointed out that many Nigerians have colonial mentally, about many things and I noted wedding ritual is one of them. 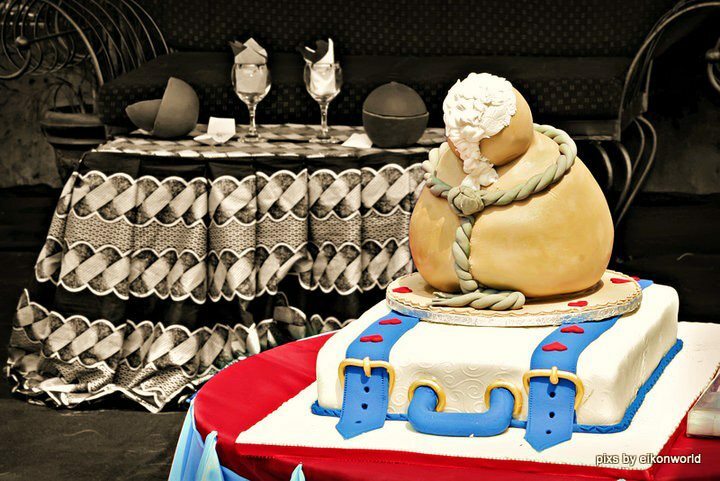 Many Nigerians have two weddings, traditional and the so called “religious”. 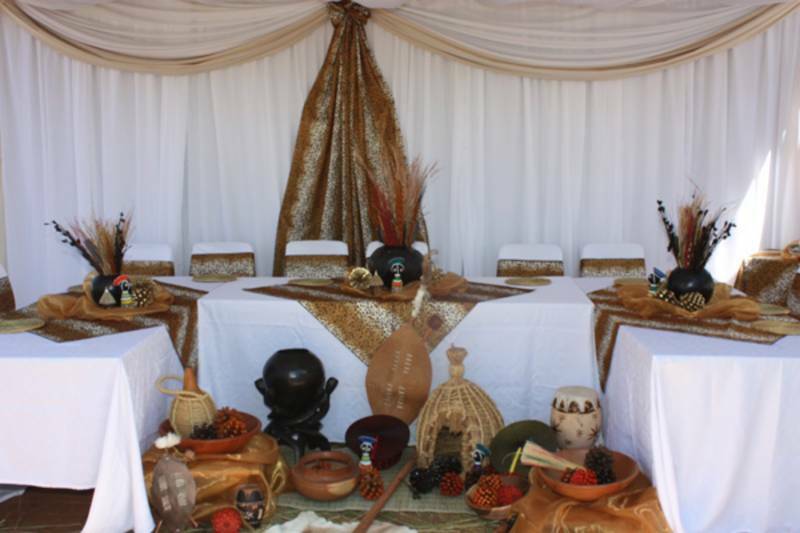 The idea is that traditional wedding does not hold until they have the religious, which in essence what they are saying is that, the spirituality of their ancestors that is embedded in traditional wedding is inferior. I encourage you to read my article again and comments on this issue. 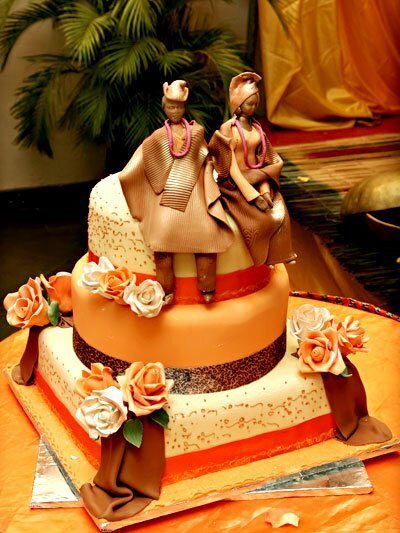 Most Nigerians that are Christian or Muslim, their wedding is centered on their new religious identity.As a colonized people with identity crisis, they/we have two weddings because we considered one inferior. 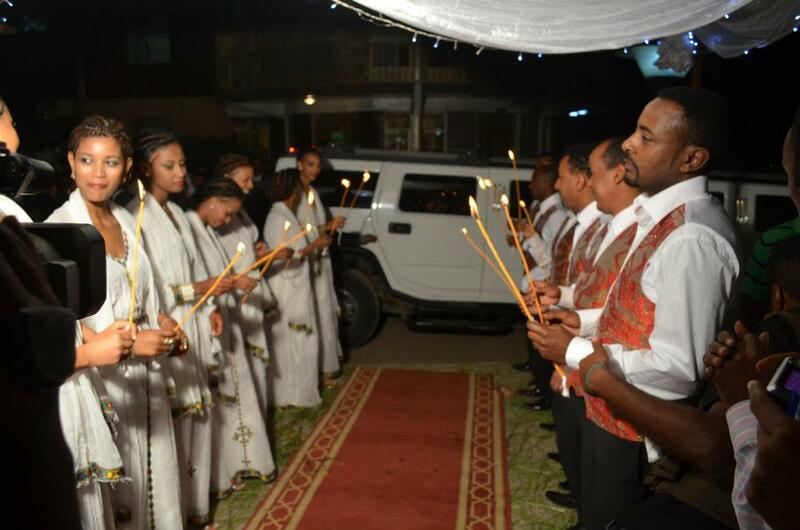 Traditional weddings are often see as “engagements” or “introduction” and the white wedding ( church) for Christians is seen as the real deal. 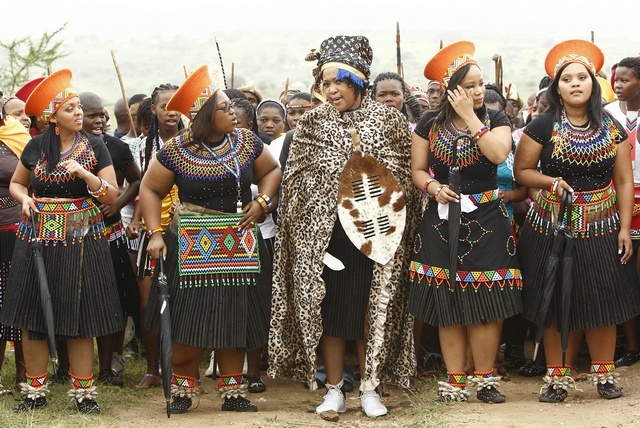 It is unfortunate that, in a country where many are poor, folks waste their little resource only to have two weddings when they could simply have a traditional ceremony that reflects their ethnic identity. 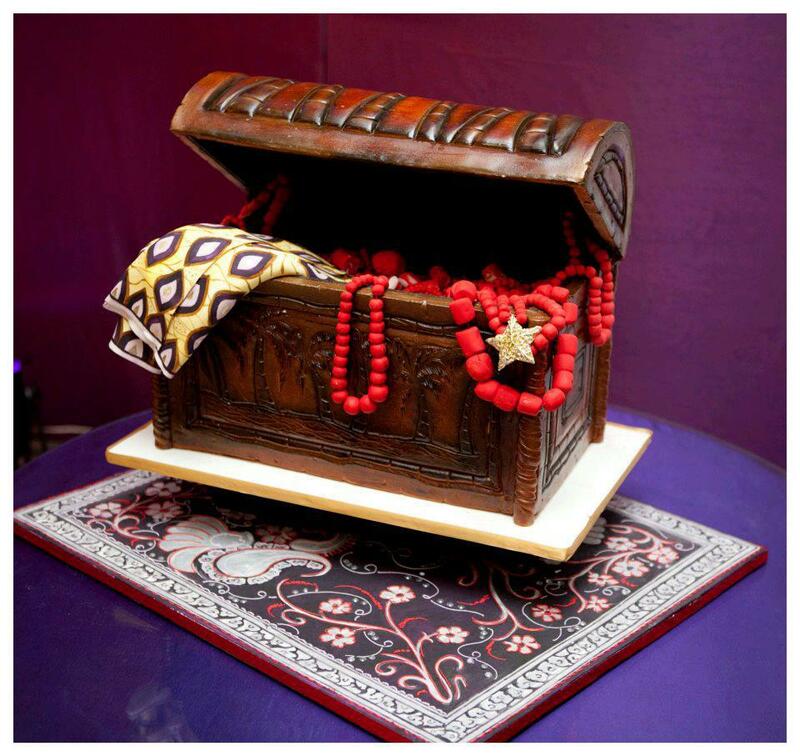 Since a few Nigerians commented on your concern, when I get a chance I will write a piece explaining traditional vs white wedding. This is very beautiful! 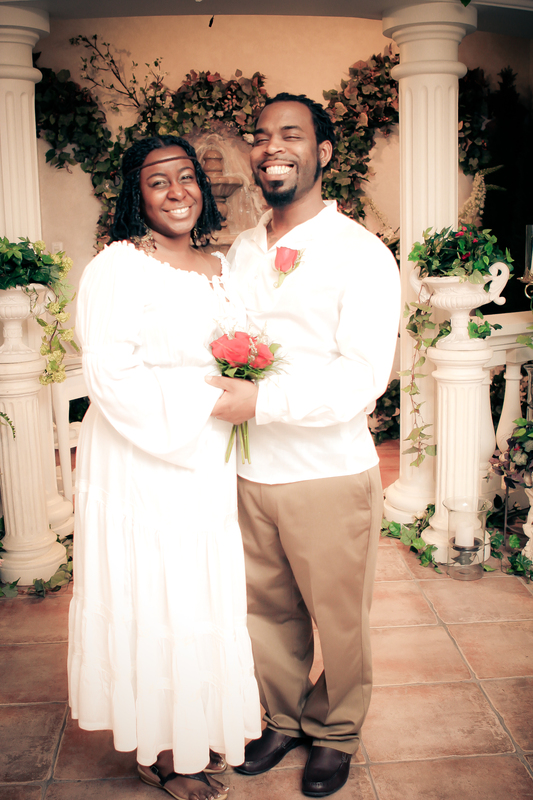 I’m from Dominican Republic and I’ve always dreamed of marrying an African prince from Cameroon or Congo. God’s plan had me falling in love with someone special from Eastern Europe and we are now engaged and planning our wedding. 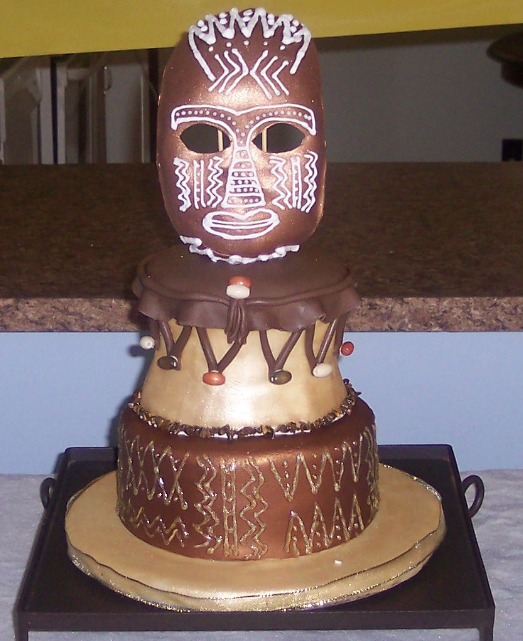 How does one even begin to honor one’s African ancestry along with incorporating some Belarussian traditions? Any ideas will be greatly welcomed. Thanks a bunch. 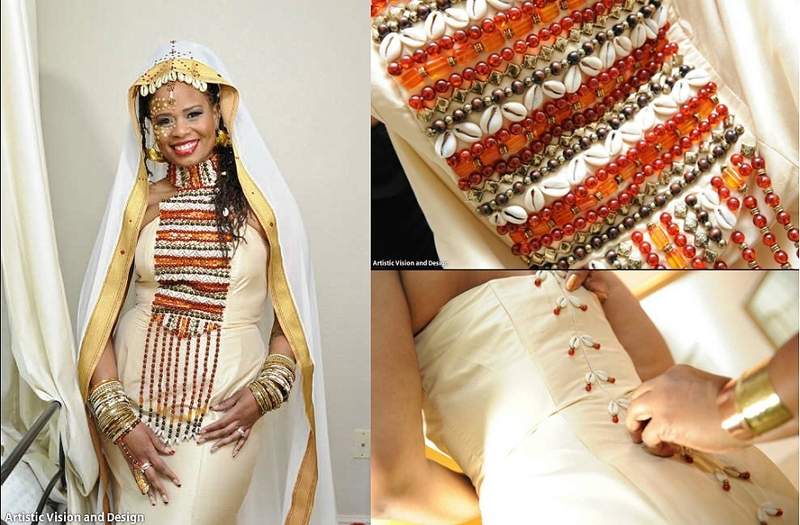 Maybe you could use fabrics from both cultures to custom made your wedding dress and the groom’s suit etc. Feel free to use any of the pictures I posted for ideas. And have yourself a lovely wedding and a wonderful respectful marriage. 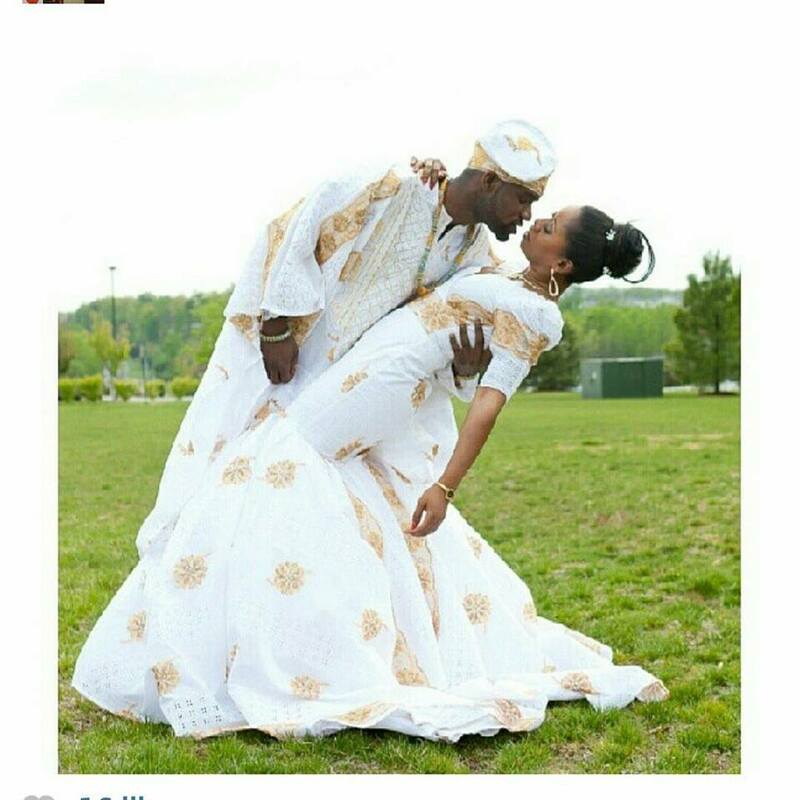 This is wonderful, i just want to correct you for saying Nigerians have adopted the foreign tradition over ours, that’s not true, although muslims here get married in the islamic way and christians too get married in the church but we all have traditional weddings where we dress in our ‘iro and buba’ (yoruba tribe) and other tribes wear their traditional attires too, in fact that is done first before the white wedding or Nikkah and it’s compulsory. 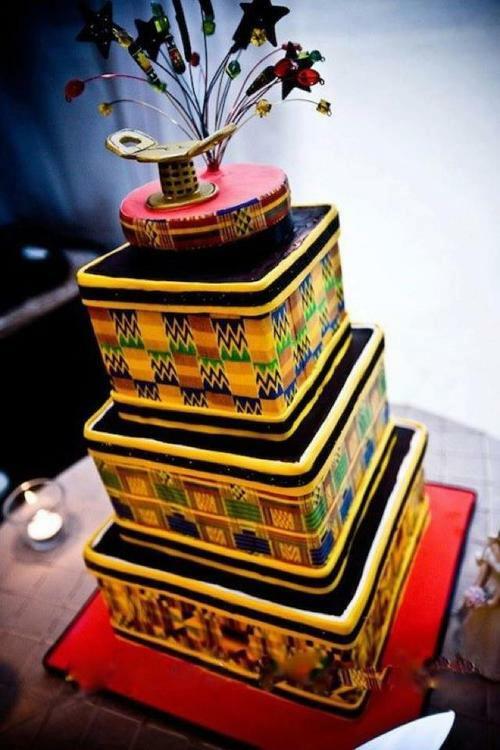 you can check our “wedding digest Nigeria” or “African Wedding Magazine” om facebook to confirm. 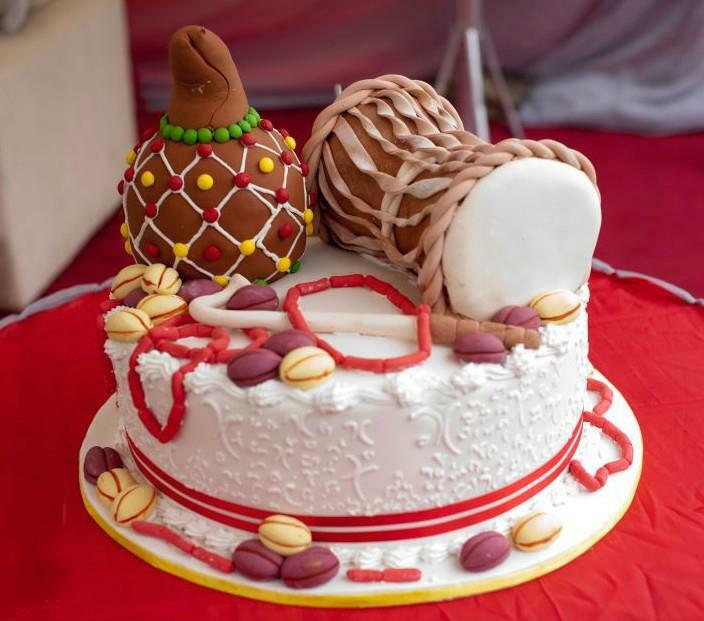 We Nigerians value or traditional wedding, i am a Nigerian not living in Nigeria, i look forward to my traditional wedding more than the church wedding, it’s beautiful and colorful. Sorry for my story, lol….i love this blog. subbing right away. thank you for stopping by and for appreciating my work. LOL, it is okay! I am thrilled to read that you enjoyed this article. Have a lovely day. Awww thank you fam Letshidile! 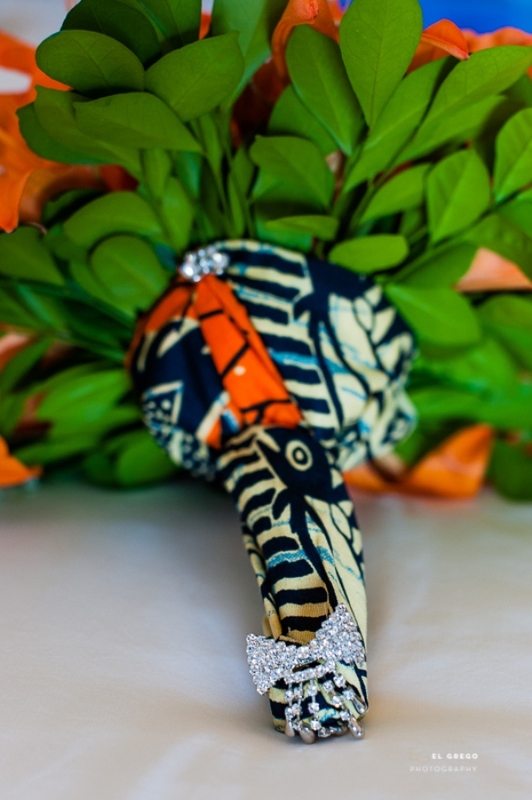 I am happy to read that you love these images and I hope you find something that works for you on your big day, Afrocentric style! 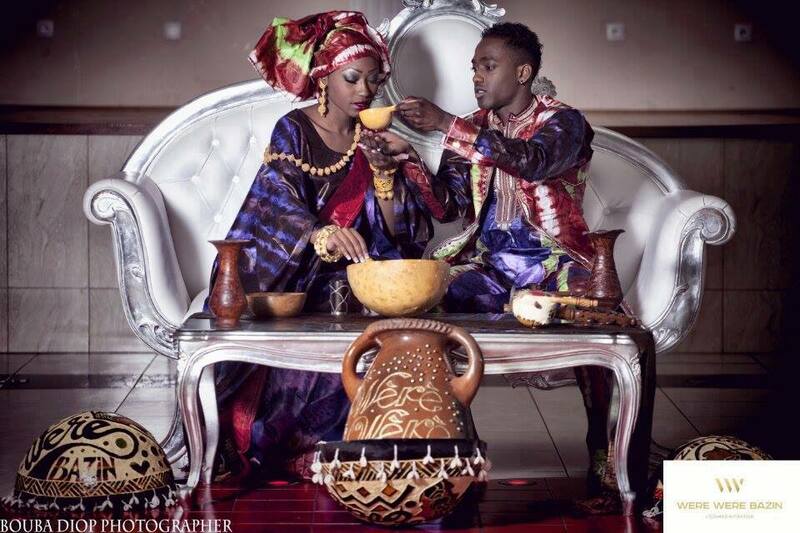 this page is amazing i’m in love with it please continue to post more african and Caribbean wedding and traditions. I am happy to read that you enjoyed this entry! I will continue to keep it interesting and well researched, serving our community with positive empowering work. Wishing you success in all of your doings. Wow! Absolutely BEAUTIFUL! I think I want to get married. 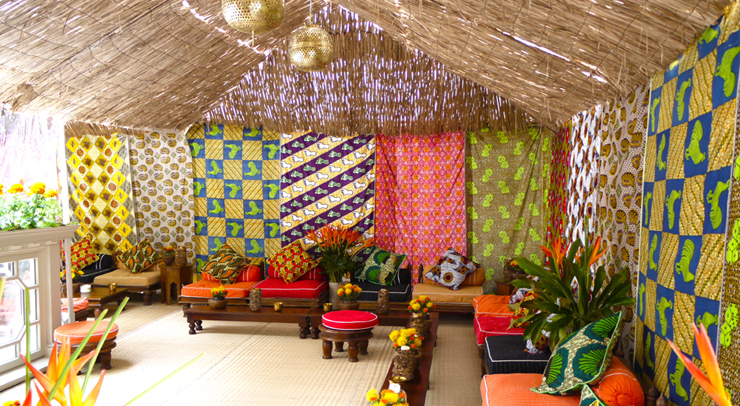 My home is decorated in African prints, lovely painting depicting Africans. I love your site! Keep up the good work and I will be sharing it with my family and friends. Now I’m going to search for my King/Groom! i share it on fb??? How am I just discovering this? I’m one of the brides featured in your article. I’m glad to see my and husband’s wedding inspiring others. Thanks for highlighting us. All the pictures you have featured are simply wonderful. 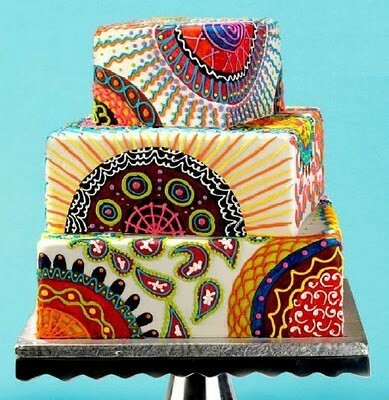 I hope people see they can add as much as their heritage to their special day as they can. It can be small, intimate touches. 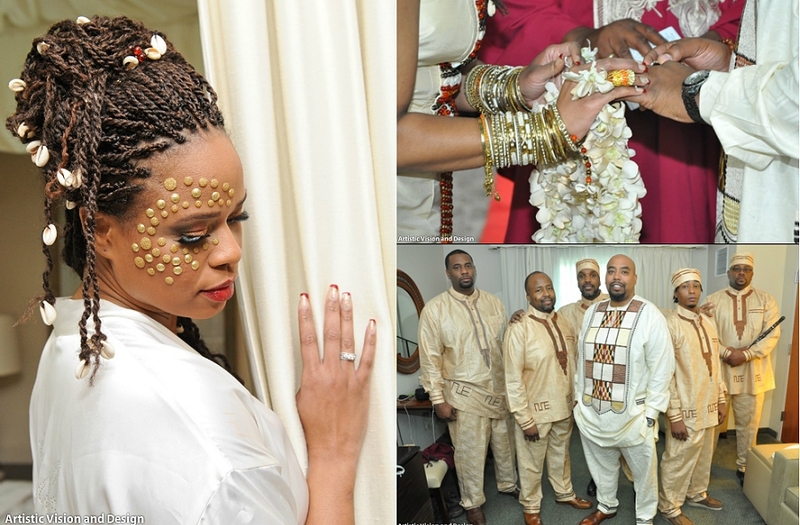 thank you so much for sharing your Afrocentric wedding with the world. 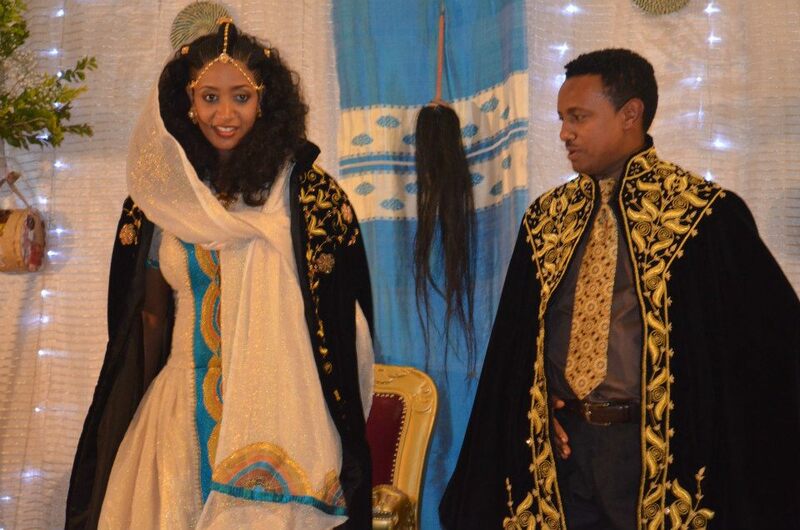 You and your husband looked fantastically beautiful. I hope you are enjoying marriage despite its ups and downs. 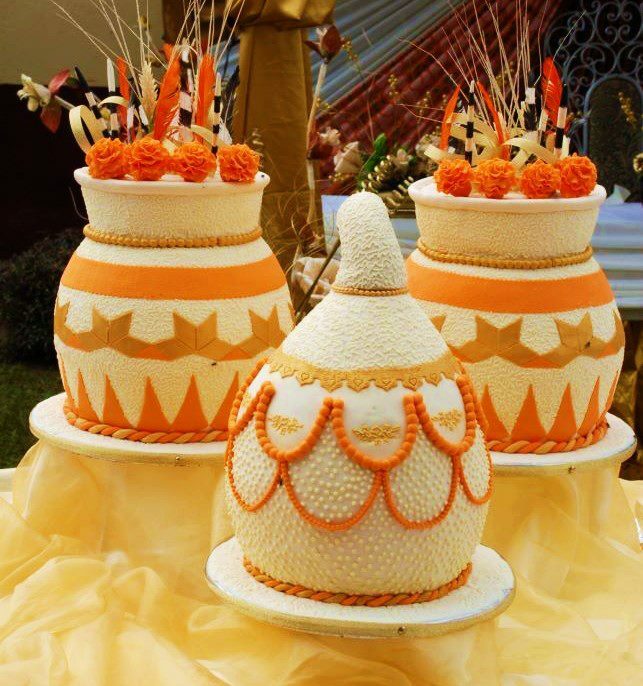 Wow, these are great awakening and inspiring photos…my first choice of wedding attire and cake if a wedding came knocking by! Niwega! 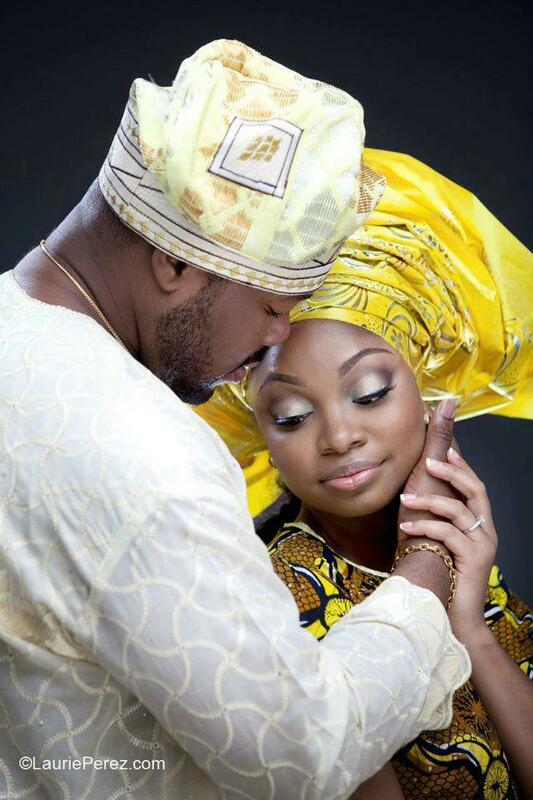 awww wishing you a wonderful wedding when the time comes! Bless up! Wow! Niwega muno…thanks a lot! a pleasure fam! Thanks for stopping by! Wow these pics are stunning! 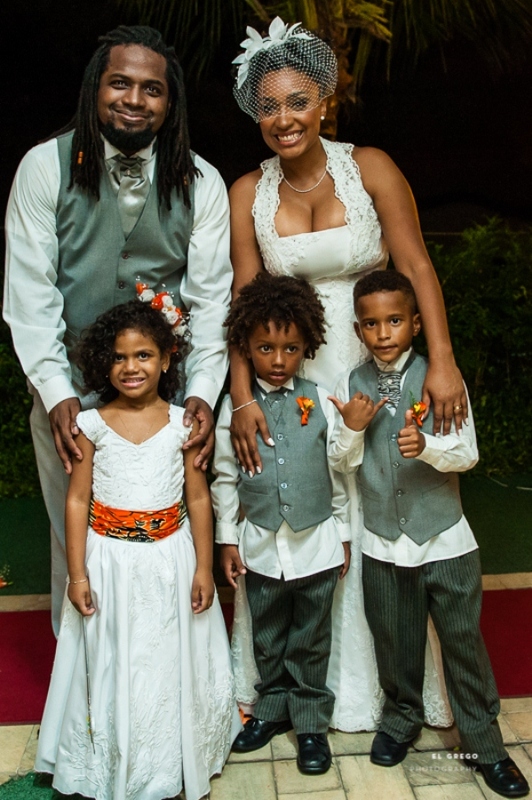 When my husband and I have out 10 year renewal of our vows, guarantee we will be doing it this way! awww, wishing you a pleasant renewal! I am sure it would be glorious! Greetings from a small country of Bosnia and Herzegovina. 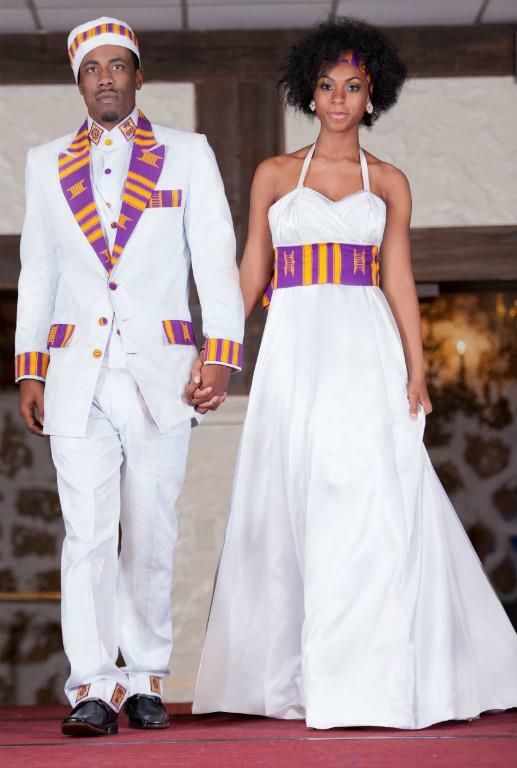 I am sorry to hear that your Fiancé is not interested in honoring his African heritage. 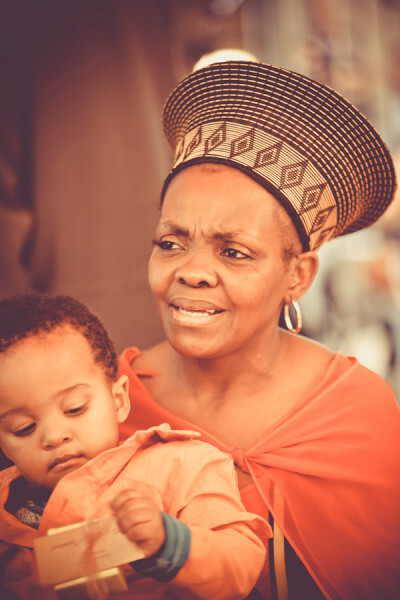 You know some Africans, as I pointed out in the piece, they think their culture is inferior to European for example, because they have internalized oppression. 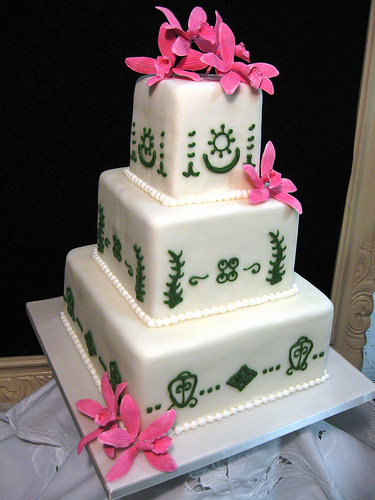 I hope and wish you a wonderful life together! 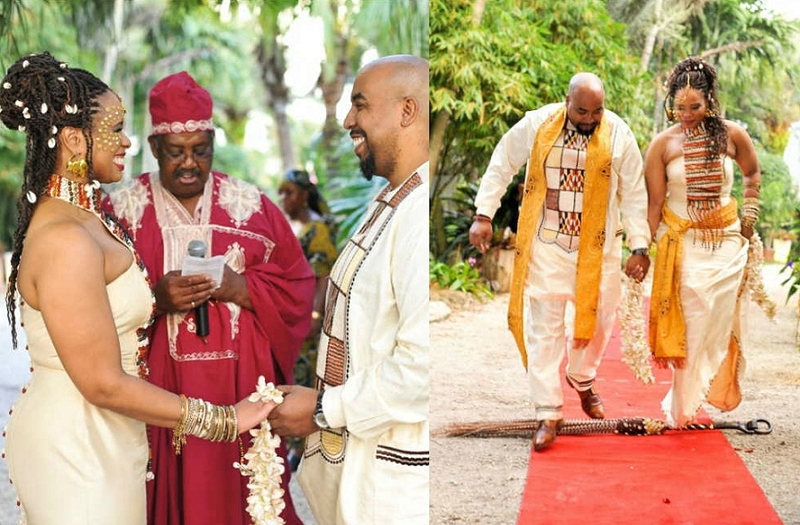 I so want to honor my African roots (I’m African American) for my wedding day. These examples are so helpful! Love your site! 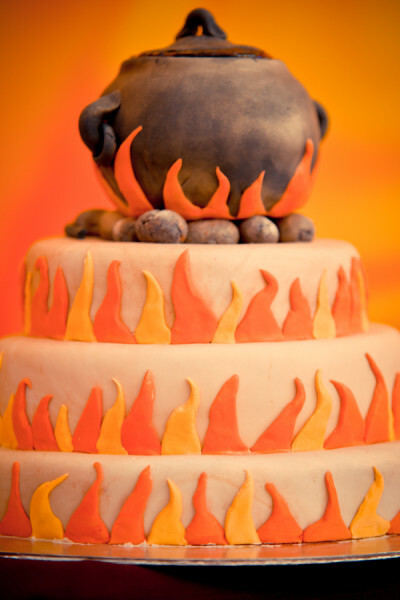 how about just letting the bride and groom have the kind of wedding they want? many black people don’t even know exactly where they came from (whether it’s nigeria or ghana etc). 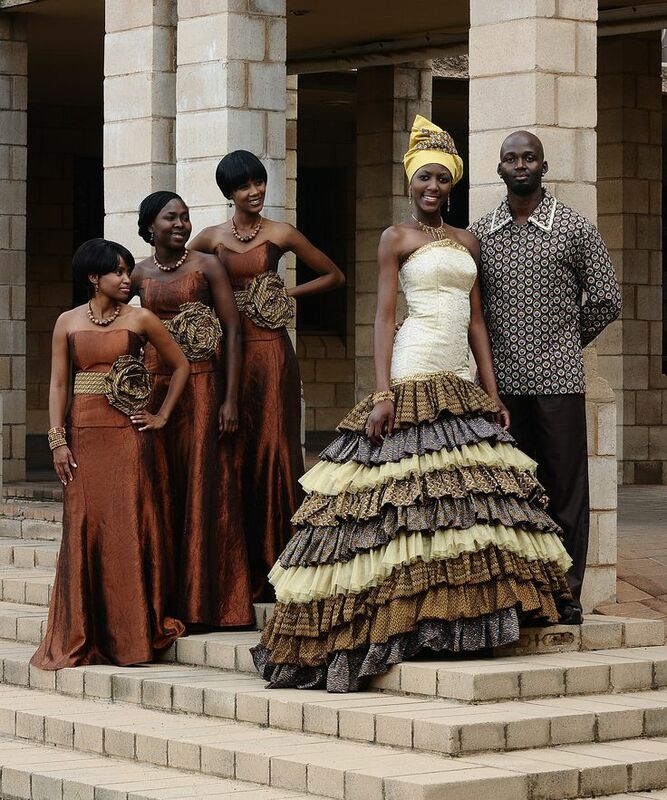 most of these outfits were made in Africa. Check Esty might find something.